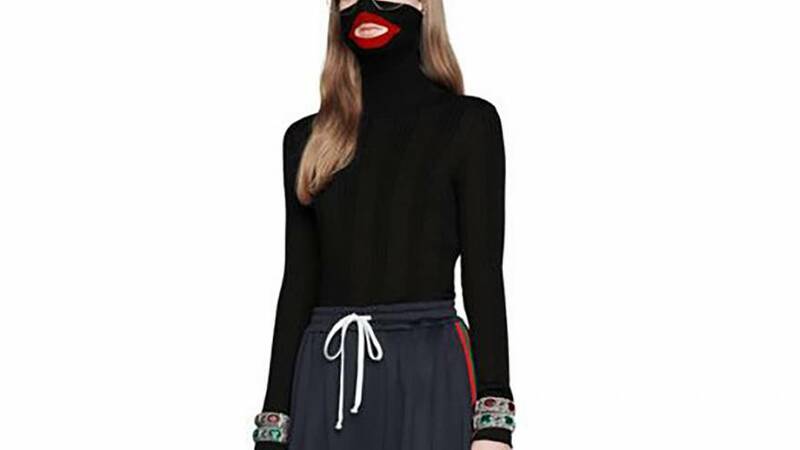 Luxury fashion brand Gucci has stopped selling a sweater that resembles blackface. The turtleneck black wool balaclava sweater covers the nose and includes a red cut-out for the mouth. It was being sold for $890 before being pulled. The Italian company released a statement Wednesday saying it "deeply apologizes for the offense caused." It added: "We are fully committed to increasing diversity throughout our organization and turning this incident into a powerful learning moment for the Gucci team and beyond." The sweater was ridiculed on social media as insensitive and racist, at a time when the U.S. is grappling with cases of old photos of politicians with their faces blackened. It's not the first time in recent months that a high-end fashion brand had been accused of carrying racist products. In December, Prada faced criticism over key chains and window displays featuring monkey-like characters with big red lips. Initially, the company said the items were imaginary creatures not intended to have any reference to the real world and were "certainly not blackface." It later apologized saying it removed the "offensive" products from shelves, adding that the "resemblance of the products to blackface was by no means intentional."